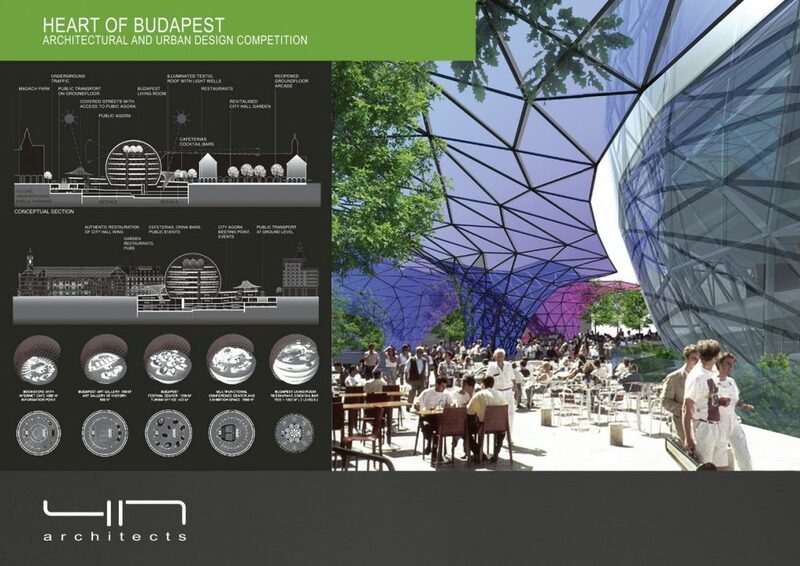 The overall objective of the competition is the revitalization of Budapest city centre, especially by the renewal of the public realm and the re-definition of “good places” network. 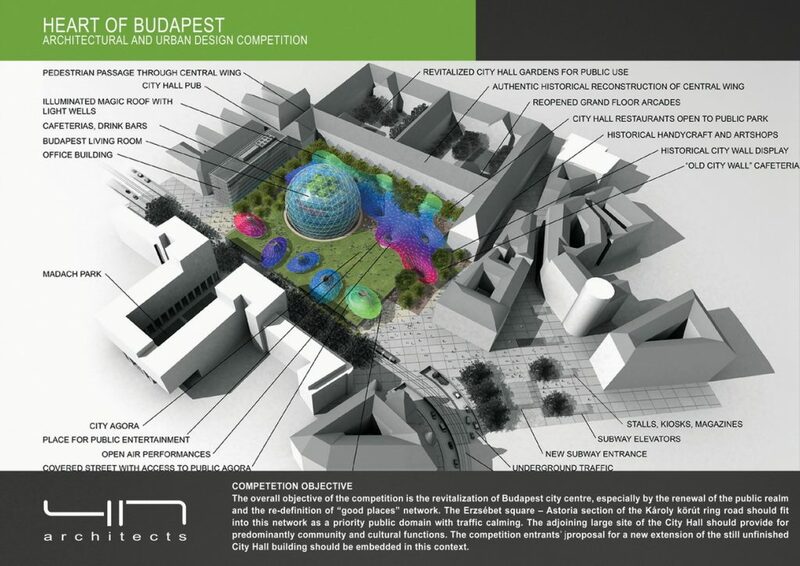 The Erzsébet square – Astoria section of the Károly körút ring road should fit into this network as a priority public domain with traffic calming. 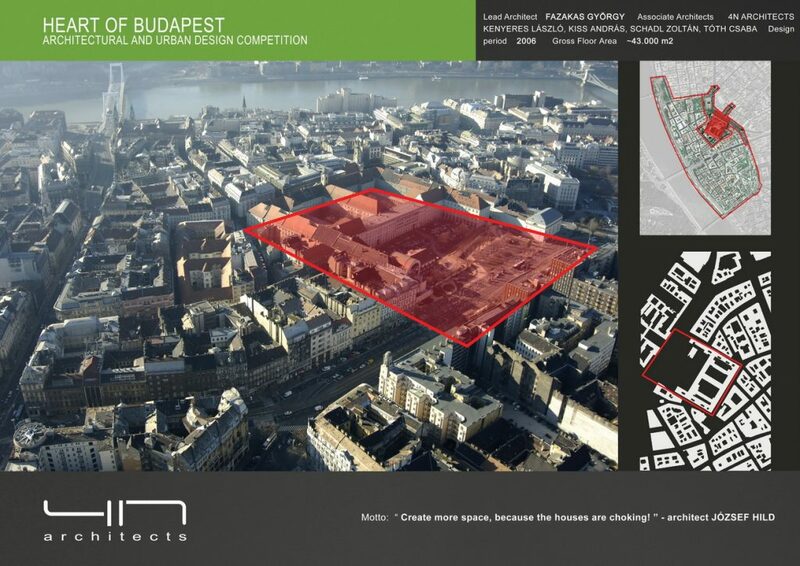 The adjoining large site of the City Hall should provide for predominantly community and cultural functions. The competition entrants’ proposal for a new extension of the still unfinished City Hall building should beembedded in this context.